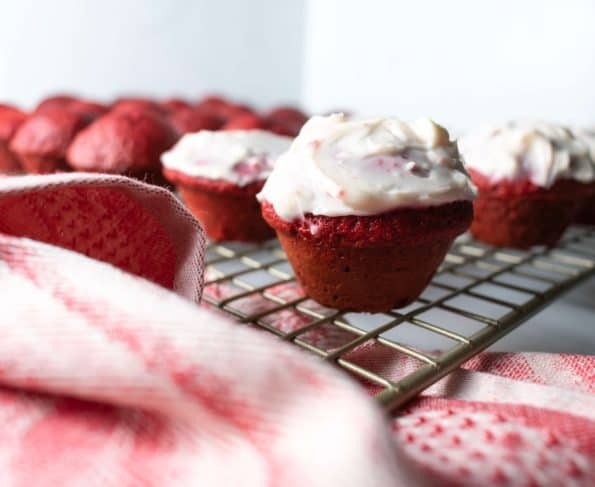 Skinny Mini Red Velvet Cupcakes are a perfect guilt-free treat for Valentine’s Day (or any day)! This recipe substitutes applesauce for oil and saves 965 calories on the total recipe, but still makes a spongy moist little cake! Happy almost Valentine’s Day! I think I have a love-hate relationship with this made-up holiday. My husband and I started officially dating February 15th, which is now 10 years to the day when I made him try spicy tuna as his first sushi and it failed miserably. Then hours later I told him he should be my boyfriend, yep…true story and here we are, our first married Valentine’s Day. What I also love about this day is having a reason to eat tons of chocolate, buy/receive flowers, but mostly – telling people I love them and remembering my first Valentine (Hey Dad). But, like everyone else, I hate being told to tell people I love them and how to show my love for them. What’s the point of that? For the same 300 calories I could have 6 of these, but I guarantee you’d get your fill of them before that. 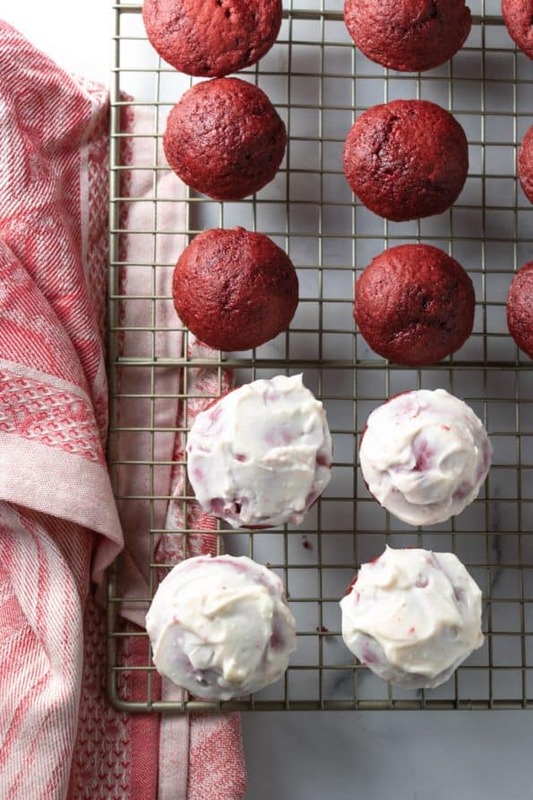 Also – don’t tell any pastry chefs you know, but I totally cheated on these and manipulated a boxed cake mix! Normally, these would be high in calories from a box right? But one quick swap of oil and unsweetened applesauce cuts out (ready?) 965 calories from the total recipe! You won’t even miss it, promise. They still come out like spongy little cakes. The thing that I have found about substituting ingredients is that it needs to be something approachable, not too weird, and the substitute ingredient has to be something I’ll use again. Like that time I made brownies that substituted black beans for flour might have been a little out there. 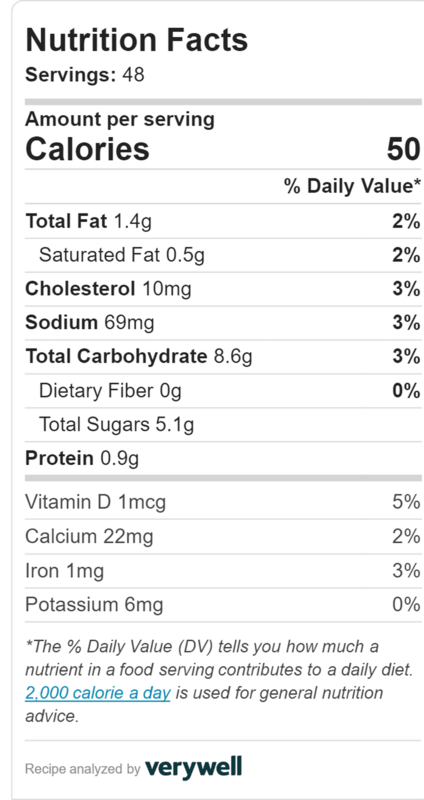 But applesauce is a totally approachable ingredient and now I can also have that as a dessert for 70 calories per 1/2 cup. So, the recipe is literally: mix cake mix with 2 eggs, 1/2 a cup of applesauce, and 1 1/2 cups water until its well combined. 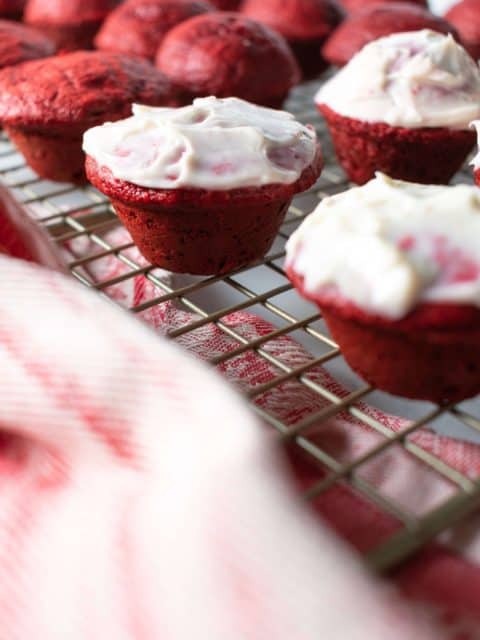 Then, bake in a mini cupcake tray for 10 minutes. (Yields about 3 dozen). 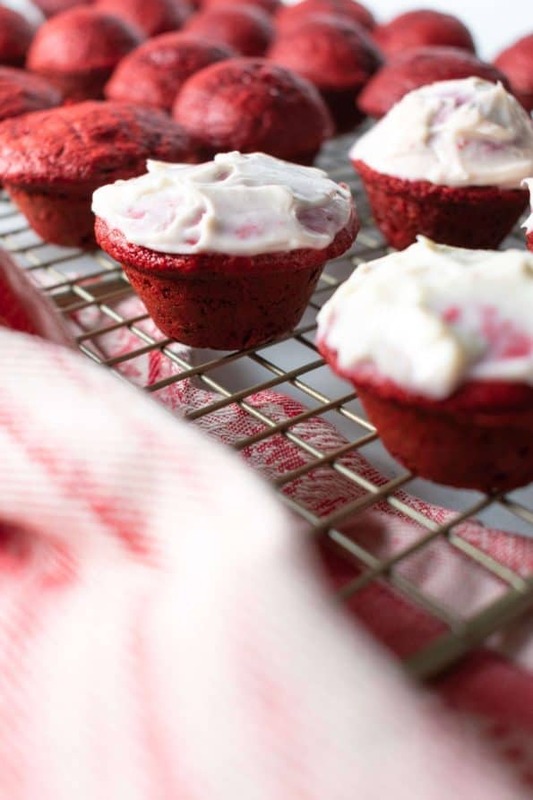 Frost with either cream cheese frosting, vanilla buttercream, or whipped cream for an even lighter option. Note that the frosting is not included in the nutrition facts. There you go! 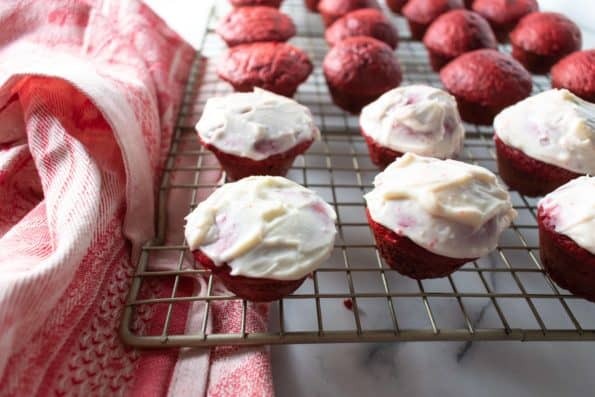 A totally approachable dessert for you to celebrate Valentine’s Day and not have it ruin your diet! For another easy treat, I’ll be posting something on social media this week that takes 3 ingredients and 10 minutes!